This'll get to SNAFU eventually, I promise. But let's start at the beginning. In fifth grade, I sketched out a mental map of all the various sympathies and alliances that made up my school's social hierarchy. Popular kids, who fell into a few distinct categories with some overlap between. Various tertiary groups, either self-contained or adaptable. Loners of various stripes, and individual friendships that overcame class boundaries. Myself, my friends, my closer and more tenuous links. This became less overt and more assumed as grades passed by. Groups shifted, and the variable nature of actors within those groups became clearer. I can still remember a distinct “what are you doing here” when I wandered into the wrong area at a school dance. I remember equally well my own sarcasm and cynicism, how I treated what from my position seemed like deserving targets. But I wasn't satisfied either, and I certainly wasn't a “winner” - I had a few close friends, but I was still a weird kid, an outsider. High school wasn't “for” me, though I felt uniquely sharp in my ability to catalog it, to break down, categorize, and critique. I sat to the side. I watched. 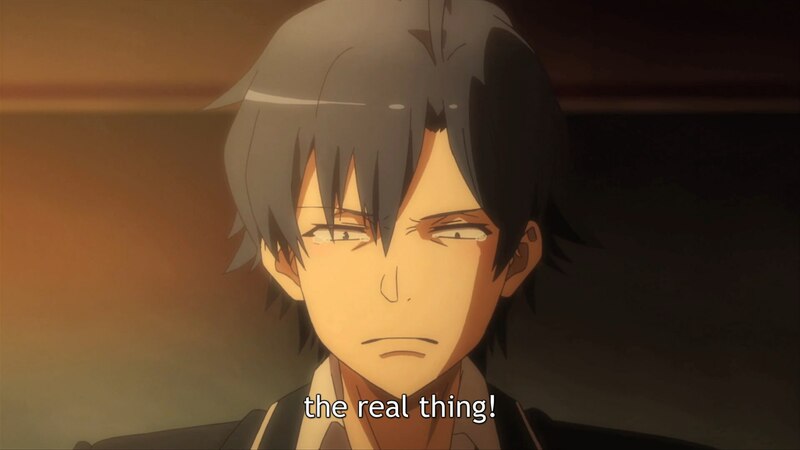 What I'm saying is, I know where Hachiman is coming from. I doubt I'd be sitting here, analyzing the crap out of a cartoon character, if I didn't very much know where he's coming from. 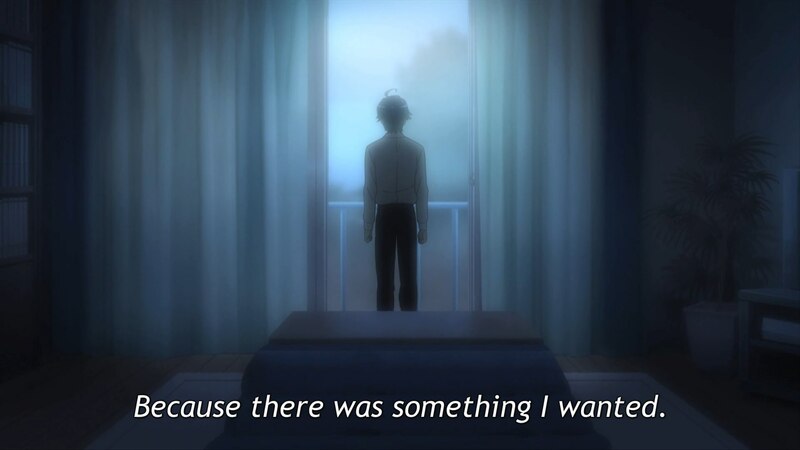 I guess you could say I Was A Teenage Hachiman, someone who wanted to understand but didn't want to get hurt, who was somewhat clever and thought he was even more clever, and who created a system where his own failings were validated by the thought that he was more righteous or perceptive or honest than the people who were simply engaging with the world in their own ways. I know what it feels like to build a psychological castle in the sand. SNAFU is a story about castles and the people who make them. 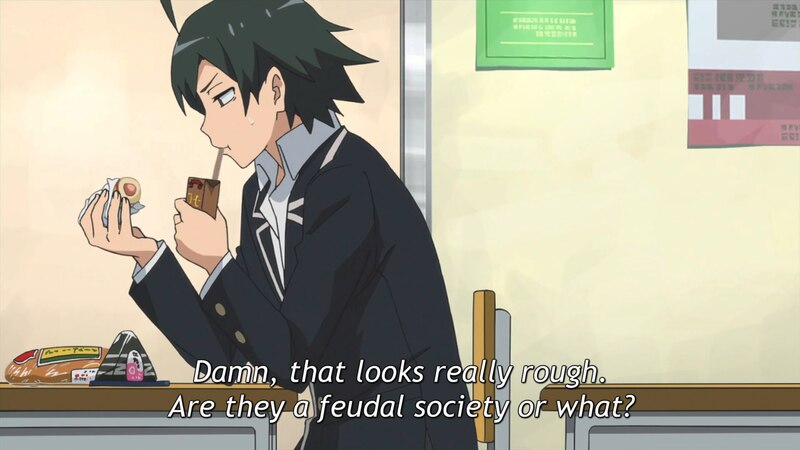 The “hero” Hachiman embodies the castle-building instinct, outlined from his very first grim monologues, where he talks about his fellow students lying to themselves and “pretending to enjoy their youth.” His classmates are full of lies and hypocrisies, while he stands alone with his meaningful ideals and higher perspective. Hachiman and his classmate Yukino are alike in this disdain, though Hachiman tends to frame himself as “scum” that willfully scorns society, while Yukino tries to frame herself as above it all, an example to her peers. They're also both snarky, smart, and introverted, but it is this shared desire to believe they are different and better that brings them together, as they work to "help" their fellow students from within the Service Club. The defenses Hachiman builds for himself are understandable ones, and the prevalence of his attitude shows it. 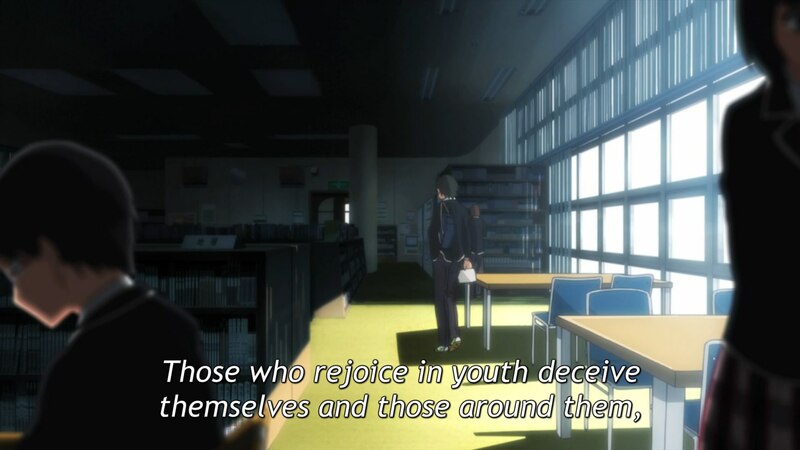 There are millions of Hachimans out there - there are entire industries dedicated to telling teenage boys that they're smart and special and have it all figured out, and that the reason they're unhappy is because it's not them, but the world that is wrong. That society works according to arbitrary rules (“girls only like jerks,” “social graces are a bunch of lies,” “nobody likes a nice, genuine person”), and that by either learning to manipulate these rules or rejecting them entirely, you can maybe escape the system that rewards the people you can't connect with. That your loneliness is only to be expected in a system like this, and that your unhappiness doesn't mean you're wrong. It's certainly a compelling argument, when you're unhappy in spite of your own assumed talents and see people who are “less deserving” than you winning in all these social games. You see rules of engagement, but they're not natural to you - they seem like artificial things, particularly when it's clear other people aren't always telling the truth. From there, it's a short step to believing social conventions are no more than a pointless game, and that social behavior is willful, malicious, and based on our worst instincts. 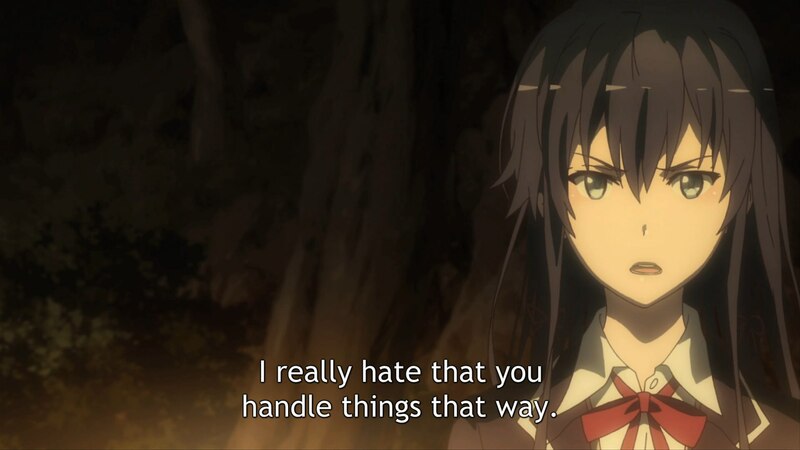 Hachiman sees a character like the popular Yumiko not respecting her friend Yui's desires, and can only see that as a direct expression of power. He sees his classmate Hayato struggling to preserve unsteady friendships, and thinks "what makes them even worth saving?" Such stories are popular, but I feel they do their viewers a disservice. 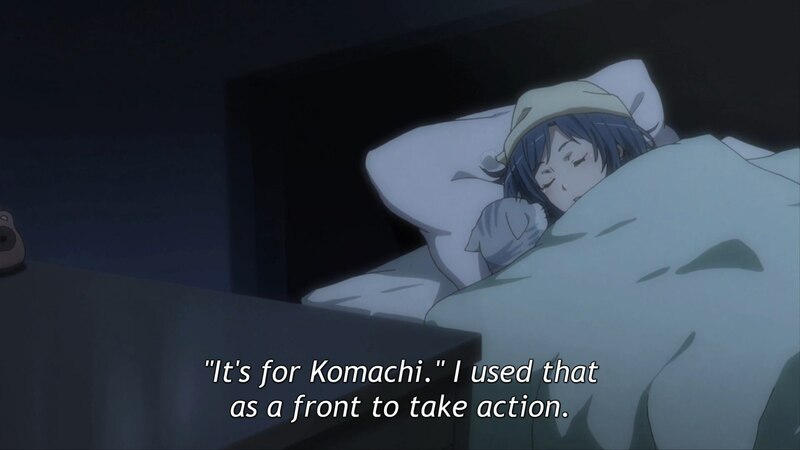 Oregairu doesn't treat Hachiman with validation or indulgence - it treats him with enough empathy to tell him he's only hurting himself. Its empathy is significant enough, and its perspective generally staged from close enough to his head, that this can certainly (at least within the first season) be mistaken for the show actually agreeing with him. He gets all the dramatic monologues, his pain is framed as the show's pain. But it's clear in the results, in the ways he hurts others, in the ways more experienced characters treat his actions, and frankly in how well and specifically it captures the limitations of his viewpoint that we're looking back on these attitudes. 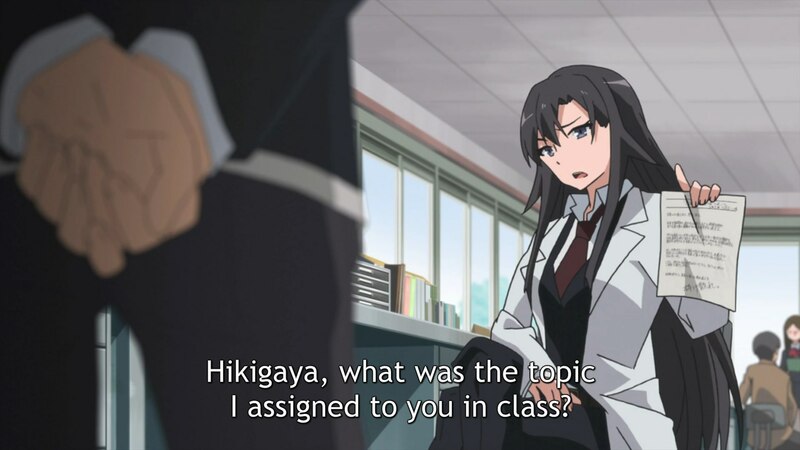 The very first episode makes this contrast clear - Hachiman opens with a cynical unveiling of his viewpoint, and his teacher Hiratsuka tells him to cut the self-serving crap. 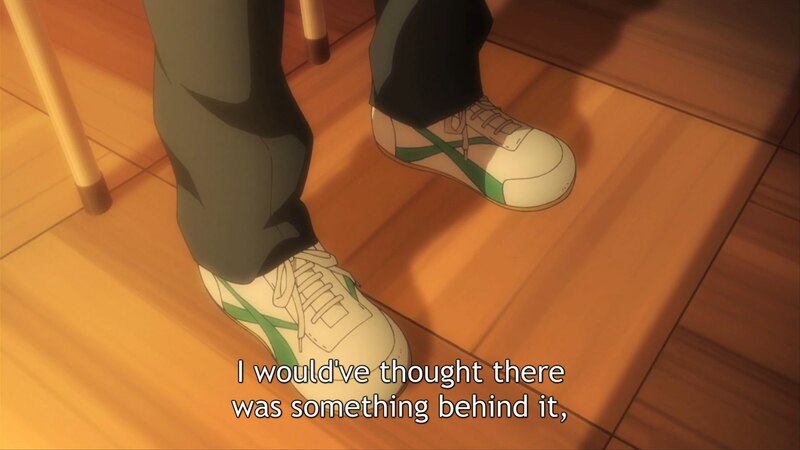 This pattern continues throughout the series, with Hachiman often “solving” immediate problems in ways that ultimately only create larger ones, both for himself and others. 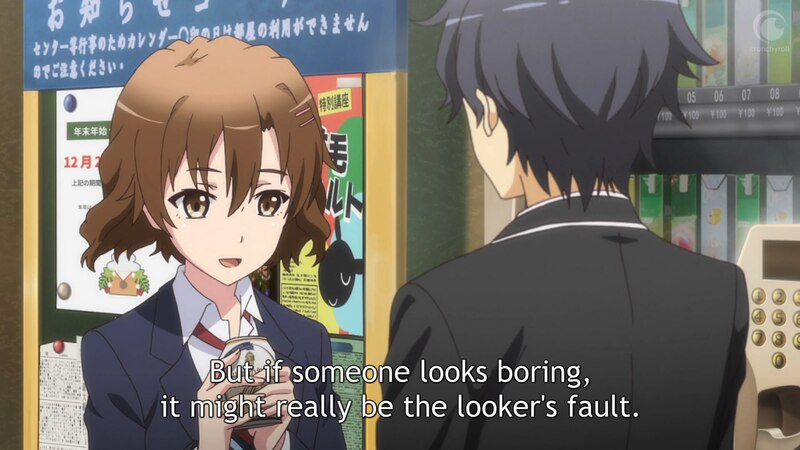 There's a reason Oregairu is compared to Catcher in the Rye, and there's a reason Catcher in the Rye is mainly beloved by teenagers. But even for all that novel wallows in the perspective of its adolescent protagonist, the key points there also come from the relevant Hachiman's teacher, Mr. Antolini, who bluntly tells Holden Caulfield he's “not the first person who was ever confused and frightened and even sickened by human behavior.” His thoughts on Holden's relative normalcy and need to apply himself are basically a direct echo of Hiratsuka's, who pushes Hachiman towards social engagement by forcing him to join the Service Club. We could all use such firm but sympathetic teachers. 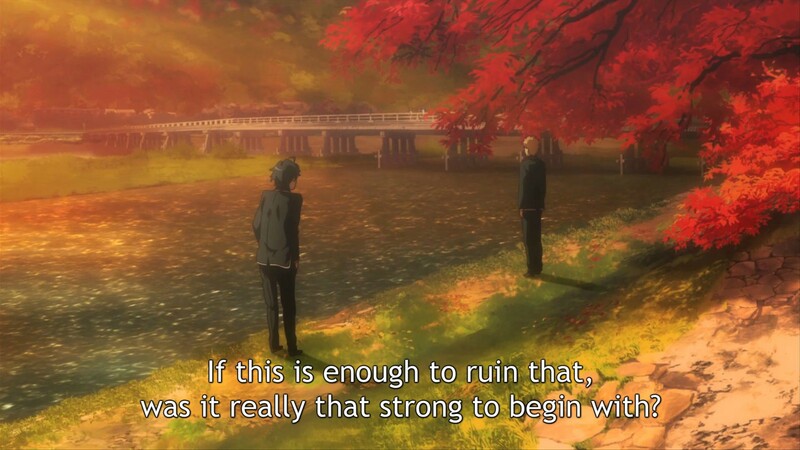 "No One Will Take Any Damage"
Of course, you can't just shake someone and make them grow up, and the ways Hachiman frames his problems demonstrate the elements of broader perspective he can't be told. Hachiman repeatedly refers to the trials of social conflict in terms of “damage taken” - “we'll solve it this way, and then no one will take any damage,” etcetera. That phrasing, generally applied to either the steady violence of boxing or the measurable scores of videogames, reflects the way he sees high school relationships in a number of ways. That they have lasting consequences that are purely negative, and these consequences build up over time. That high school is a game of jabs and defenses, where you either win or lose in situations defined by assumed antagonism. That you can't simply walk over and talk frankly to the people you're engaging. That you can't forgive. Hikki is half-right on at least one of these points - it's true that these events often do have emotional consequences, and that they leave scars. Hikki is indeed a “damaged” person - not deeply, and not permanently, but the consequences are there. It's because he has been hurt before that he doesn't want to allow himself the chance of being hurt again; because he is so afraid of getting hurt, he always assumes he will be. This is the fatal flaw underlining his analysis - he thinks he can see the motives behind everything, but it's all framed within the narrow view of how people might cause him harm. His gloves and guarded elbows are the only tools of engagement he allows himself - and when you only allow yourself an analytical hammer, everyone else's motives start to look like a cynical nail. 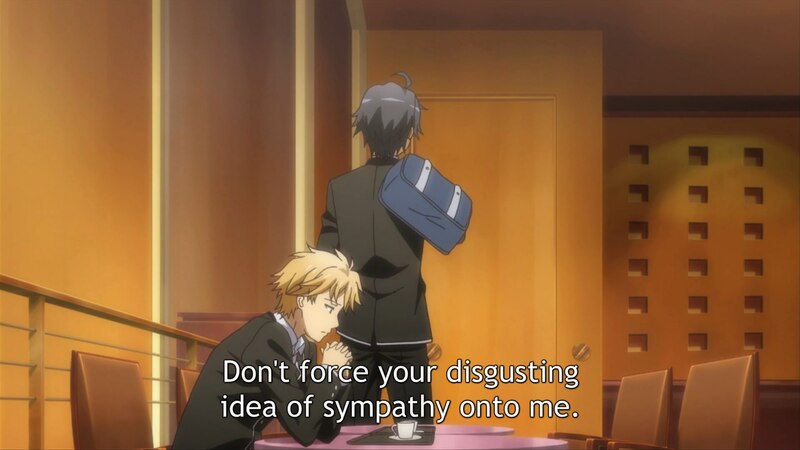 And yet, Hachiman himself commits this “thoughtless kindness” again and again throughout the series. He helps people, and his motives are far less cynical than the ones he ascribes to others. 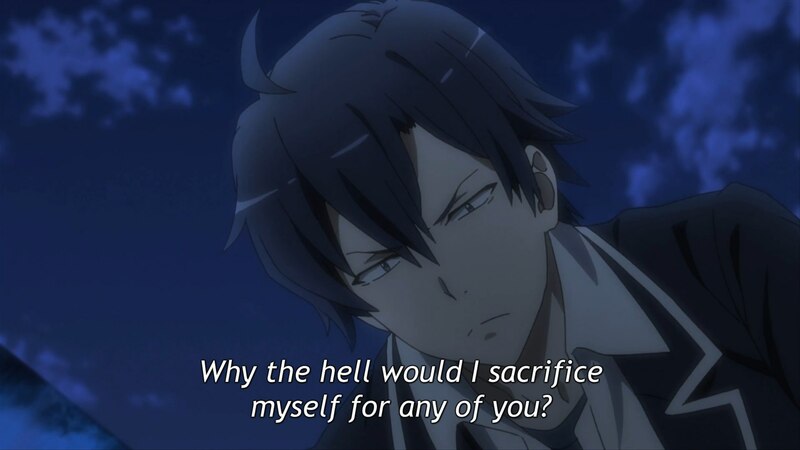 Hachiman initially sees these actions as an ugly hypocrisy in himself, but it's a shift that was inevitable the moment he joined the Service Club. You can't talk to someone every day and still see nothing but malice in their choices - people are far more complicated than that, and though they can seem negative when you're only observing from the corner, clarity emerges with closeness and time. This happens quickly between him and Yukino; as I said, it was actually the similarities of their worldviews, and the way each validates the other, that made them initially become close enough to realize they actually enjoyed each other's company. It takes longer with Yui, because she and Hikki are very different people, but ultimately her insistent good nature and continuously extended hand wins out over his cynicism. If you only see ugliness in other people and assume that's all there is, you're bound to be “disappointed” eventually. 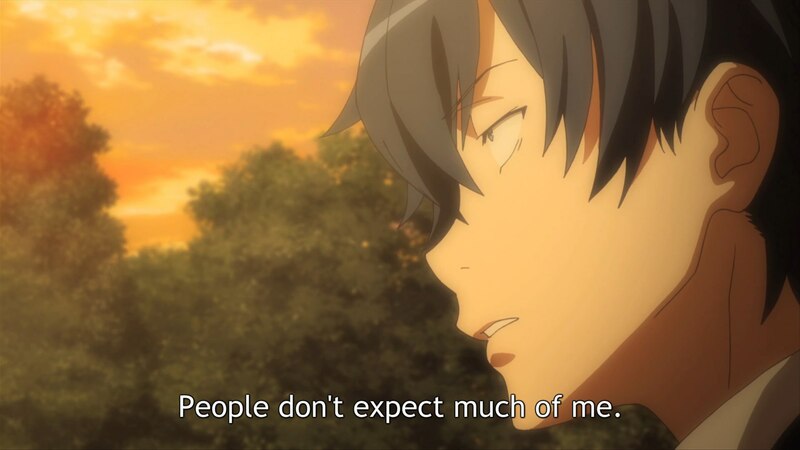 Hachiman's slow-building emotional investment is what saves him. Spending time with Yukino and Yui, he begins to find friendships he wants to protect, friendships he'll go outside his comfort zone for. At first, and for most of the second season, he attempts to rescue the things he cares about while staying true to his castle ethos. He protects Hayato's friendships, but he does it in a way that both maintains stasis and hurts his relationships with his own friends. He “solves” his classmate Iroha's request, but he only allows himself to act because his sister asks him to, and his solution only makes things worse for Iroha. He hates lies, but traps himself in the biggest one of all, attempting to somehow square his initial "high school friendships are all fake" and his newfound "but I really, deeply care about the people close to me." 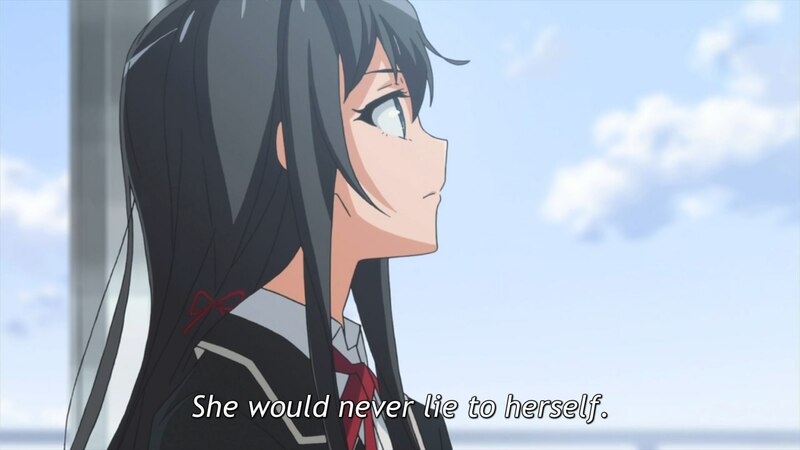 In the end, Hachiman's lies and self-deception trap him in both an external and internal corner. He can't help Iroha with her new request, because his old nearsighted solutions have left him in an unwinnable position. He can't ask for help, because to admit he made a mistake would require both a concession of his own worldview's failings and the kind of leap of faith he was running from in the first place. With no rationalizations left to turn to and Hiratsuka's encouragement in his mind, he finally takes the step all self-deceivers eventually must. He tells the truth. He made a mistake, he tells Yui and Yukino. He's failed, and he needs the Service Club's help. But even more than that, he wants them back again - back as friends, even though he knows that makes him a hypocrite. He wants to be honest with them, or at least as honest as is possible. He wants to take risks, and get burned, and try again. He wants to trust, if that's even possible. He wants the real thing. Conversation is always a compromise. 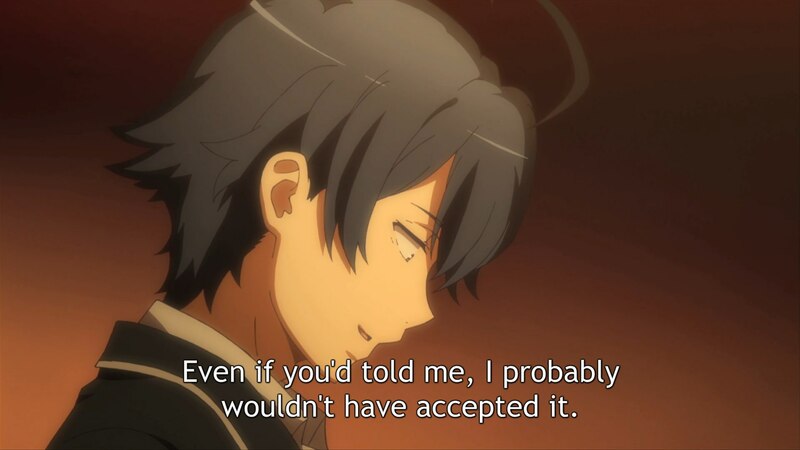 Hachiman sees lies in the social kindness of imperfect friendships, but he's only deceiving himself. We can never fully understand each other, and we will always be translating intent to some degree - but that doesn't mean we're “lying.” Hachiman initially thinks the two choices for engagement are deceiving others or retreating entirely, but it's the middle way that composes all meaningful, worthwhile human engagement. The desire to connect, and the willingness to make yourself vulnerable for the sake of engaging with others. 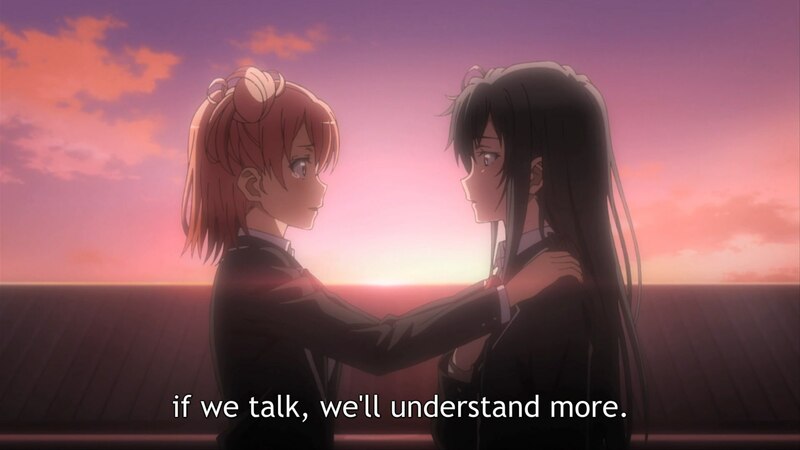 The internal languages of Hachiman and everyone he knows may not be entirely compatible, but the fact that they all care about each other is beyond dispute. And when you're starting from that point, the rough edges of communication become far easier to bear. 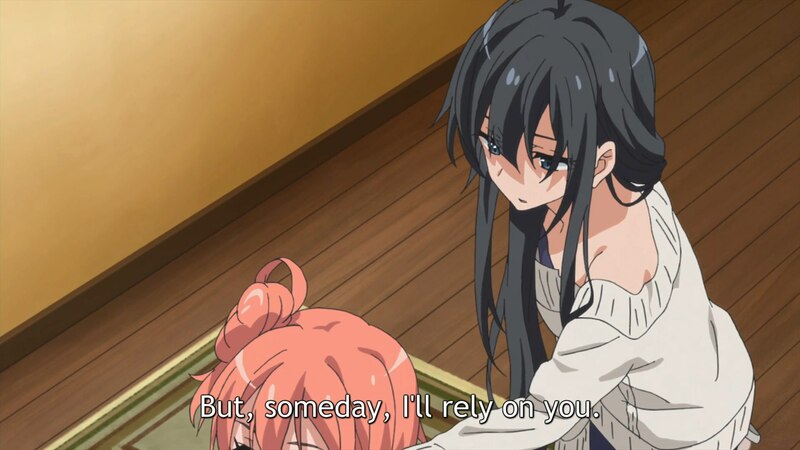 Even though Hachiman and Yukino are the ones who think they've risen above high school, it's really Yui who's the best of them, the one who demonstrates this trust again and again. She's always willing to get burned, and she does, but she keeps trying, because she cares and she's willing to admit she cares. 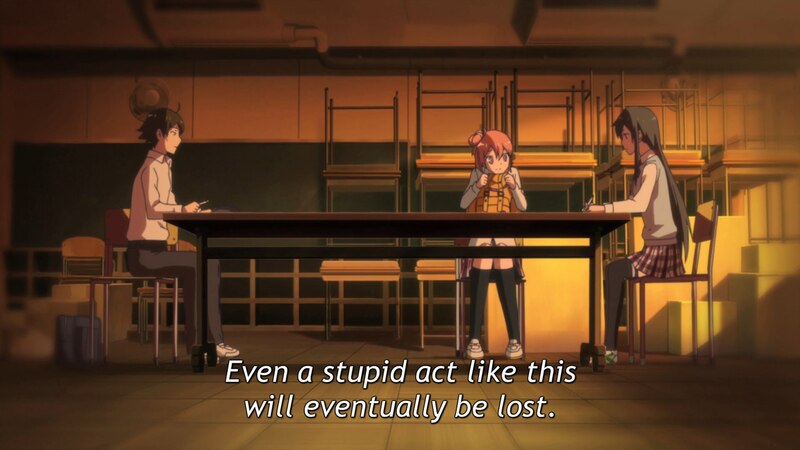 The original Hachiman would frame that as “stupidity,” but it's anything but. If you act in pursuit of mutual understanding and with an assumption of mutual concern, that's something “real” regardless of how your specific feelings may be different. And if you do that yourself even when you might get hurt, that's something noble and great regardless. That is true bravery, true strength. Fortunately for most Hachimans out there, the usual solution to these problems isn't “a huge cathartic speech in pursuit of holding on to the friendships you treasure” - the usual solution is “growing out of it.” Most people simply let their resentment-tarnished friendships fade, and learn through the inevitability of experience that the world is much larger than your first set of unhappinesses. 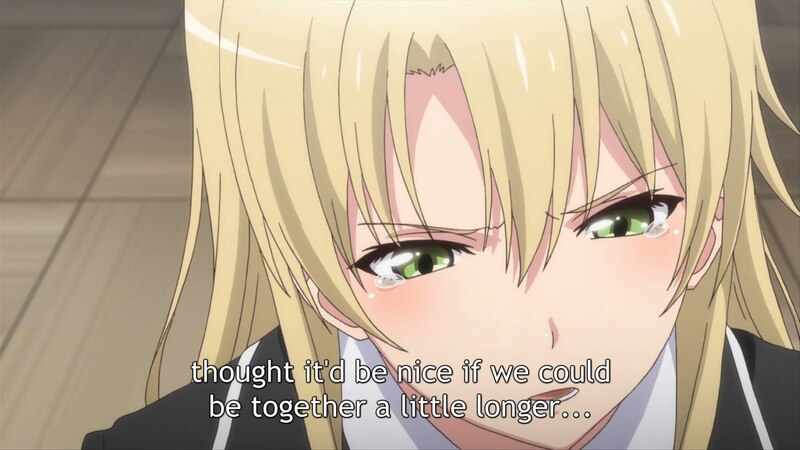 Sensei makes this clear in her awkward pep talk to Hikki - it doesn't really have to be him, he's already on his way, and someone will connect with Yukino eventually anyway. 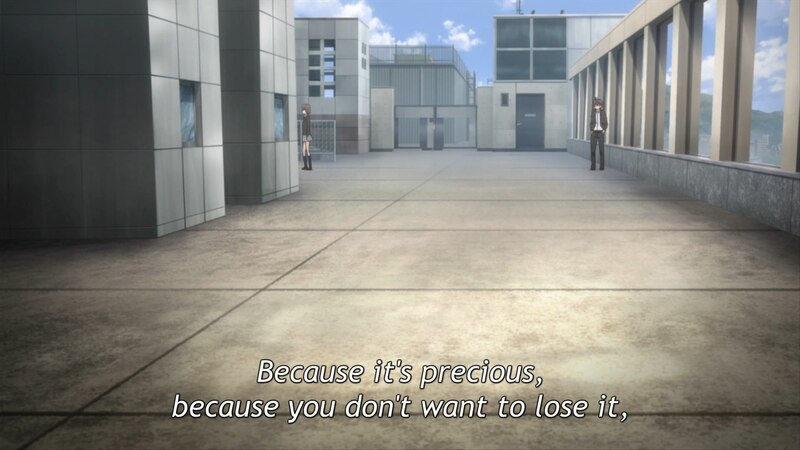 Hachiman's earlier “solutions” actually demonstrate how he hasn't yet, can't yet grasp this; the whole idea of “damage” reflects a misguided view of the permanence of high school. The fact that he took Hayato's needs at his word means he wasn't able to see that a painful breakup might actually be the best for Hayato's friend. Hachiman may say he hates stasis, but he values what he sees in front of him. 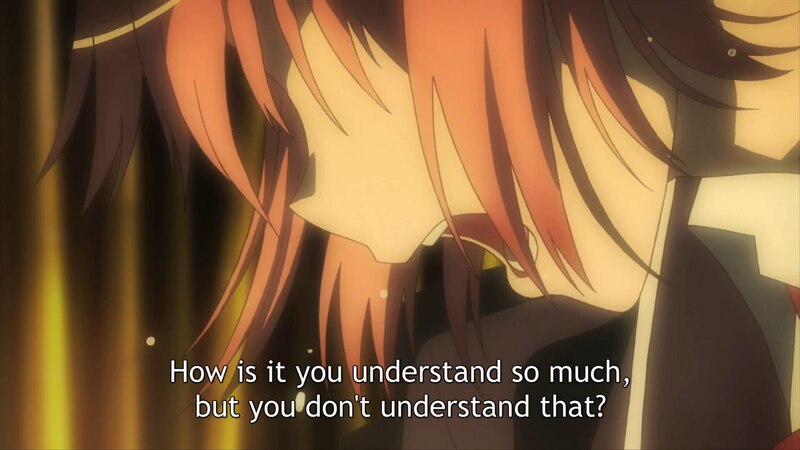 Which is one of the most optimistic about the series, in the end - that for all its drama, the fact that its characters cry and scream only reflects how much they care about each other. 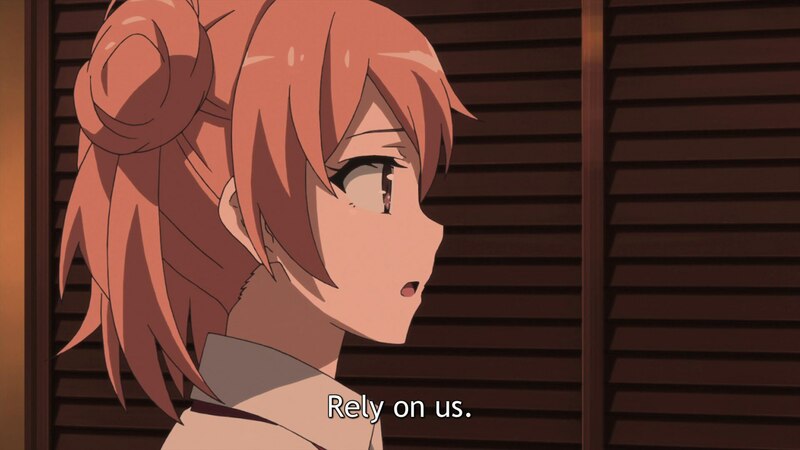 If they didn't care, they wouldn't get hurt - if their relationships really were as tenuous as Yukino bitterly implied, they really would have fallen apart that easily. But they don't, because they care. And yet, even if they had, there's still another day. Life is full of bruises, but even the worst things fade. People move on, people grow up. You get tired of being cynical about others' motivations eventually, and come to see that everyone else is just a person too. Even the tallest castle will crumble to sand. 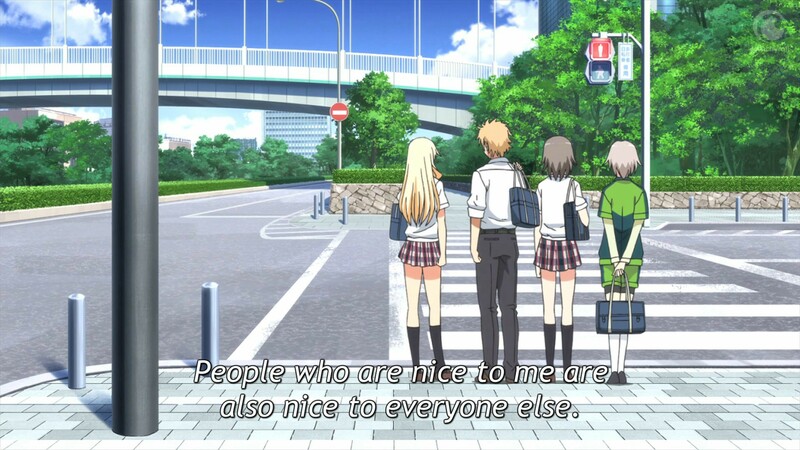 Hachimans will continue to have rough times of it throughout high school, or college, or however long they end up trapped in understandably cynical attitudes. As I said at the start, there are whole industries designed to cater to these angry young men, and not all Hachimans are even young. We all need support structures, but validation will not bring Hachimans happiness - they need empathy, but they mostly need understanding. SNAFU understands, and demonstrates as much, time and again. 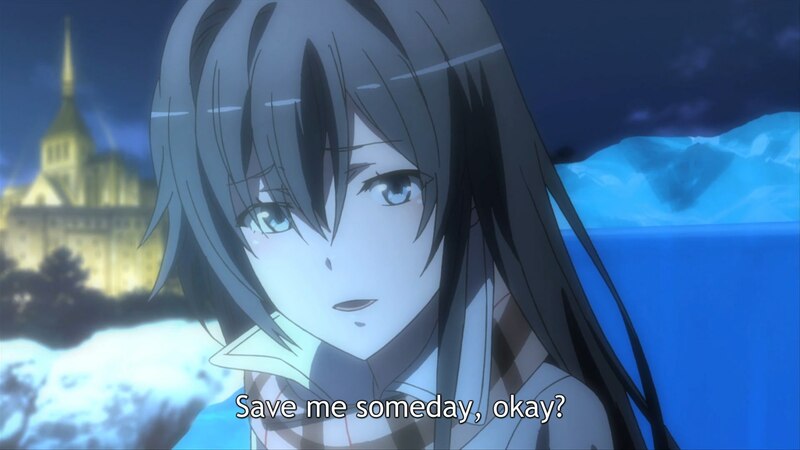 But SNAFU is Hiratsuka, not Hachiman, and its interest is in helping Hachiman grow, not telling him he is right. 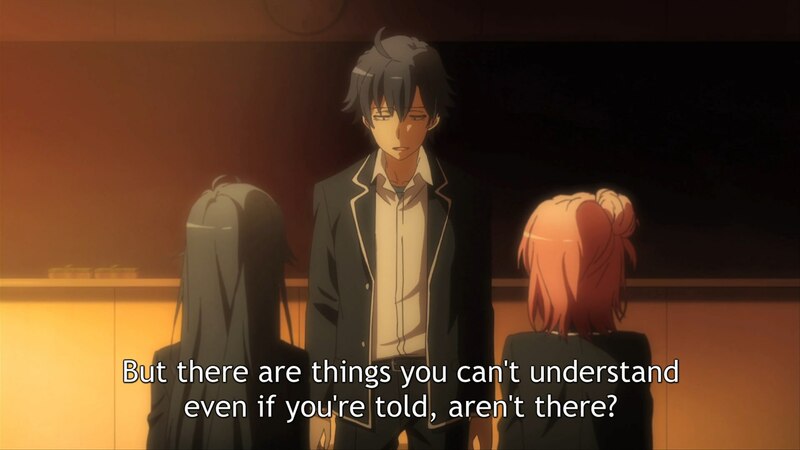 Hachiman's breakdown demonstrates clearly how difficult and self-scouring the search for understanding can be, but even something like SNAFU itself can be the friend who understands. Evangelion was my friend who understood, back when I was a jaded and unhappy teenager. That show saw the truth of my feelings, but did not join me in them - it held a hand out from above, hoping to pull me out. I'm sure a show like Utena was the same for many others suffering in their own isolation, and that show literally ends with that gesture of the outstretched hand. 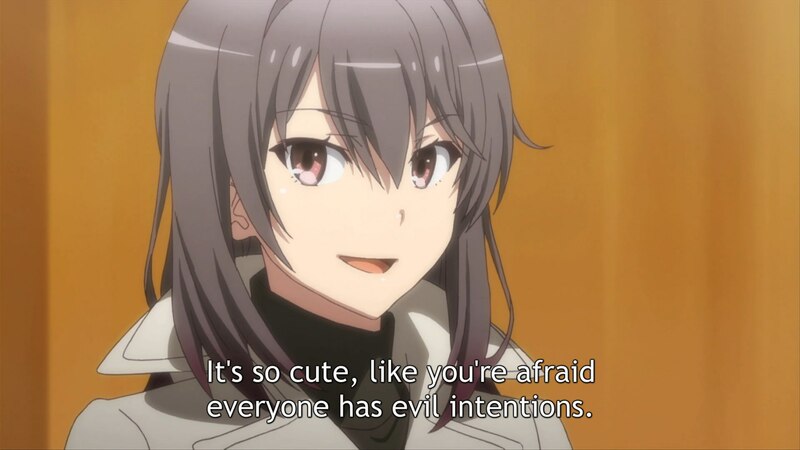 I believe SNAFU is another such show, a show that tells the truth and tries to give back to the people who inspired its truth, to bring them upwards towards an engagement with a world far more willing to be honest and kind than they suspect. Good luck, Hachimans. The world is waiting.